Jun. 28, 2013 8:00 p.m.
Executive Director, Jeannie Blakely was recognized at a retirement party on June 20th, 2013 for her years of service and remarkable success with leading Victim Services since it’s inception in 1997. Person-after-person came forward and expressed gratitude and appreciation for a job well done. 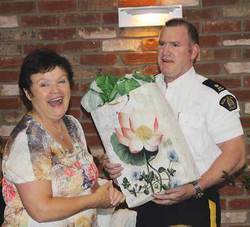 Jeannie in her modest fashion responded by thanking, “the RCMP, the advocates, the Board and the loyal number of volunteers that stepped forward every year to assist with providing a wide variety of services to victims in need.” Jeannie is retiring after being totally committed to Victim Services 24/7 for 16 years. During that span of time she has grown the organization from a humble beginning to one that is recognized as a leader throughout the entire province. RCMP Inspector Tod commented about how valuable the RCMP/Victim Services partnership is during times of accidents or tragedies. He commended Jeannie and the Victim Services team for being available to assist the victims enabling his officers to deal with what they do best; conduct the investigation of the crime or tragedy. Also offering comments of praise and a thank you for Jeannie’s efforts were Mayor Bill Elliott, Wetaskiwin; Mayor Rob Lorenson, Millet; Brenda Shantz, County of Wetaskiwin; Board Member, Kristi Paukstat, Victim Services; and Bernie, Services Advocate. Simply put in one sentence, Jeannie had the adeptness to make difficult decisions and the attitude to be caring and understanding. Having successfully led Victim Services for 16 years with new Board members, new volunteers and ever-changing social and economic circumstances, clearly states Jeannie’s willingness to accept and nurture change. A great deal of her success can be attributed to always finding the time to listen to ideas and take into consideration, the opinions and suggestions of others. Involving staff and volunteers with planning was always quickly followed with a ‘thank you’ offered in the most appropriate manner. Expect to see Jeannie in the Victim Services office in the RCMP building for a few months past her official retirement date of June 30th. She has agreed to stay on part time for a few months to help with the orientation of the new Executive Director, Petra Pfeiffer. Thank you Jeannie for your hard work and a job well done that has helped so many victims of crime and tragedy. No doubt you will be missed but your retirement is well earned. Wetaskiwin and District Victim Services is a volunteer driven program that has been operating since 1997 to providing support for victims of crime and tragedy. The Victim Services Unit works with the Wetaskiwin RCMP and is located in the RCMP Detachment at 5005-48th Avenue, Wetaskiwin. 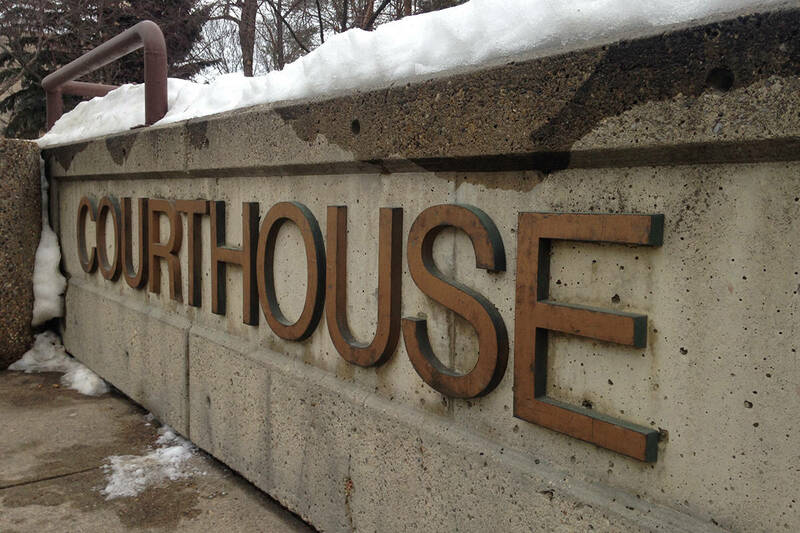 Victim Services serves the same geographic region as the Wetaskiwin RCMP Municipal and Rural Detachments. This includes City of Wetaskiwin, County of Wetaskiwin up to Battle Lake, Town of Millet, and the summer villages on the south side of Pigeon Lake.